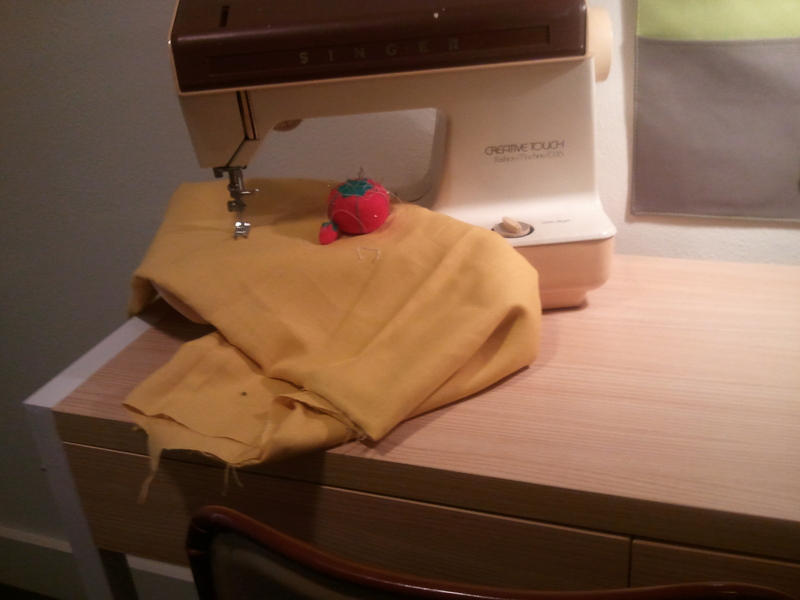 I dig the retro sewing machine. It takes me right back to 1967 or thereabouts. Set on a narrow table in a Richmond district house, it’s part of a crafts tableau that brings some life to an otherwise drab ground-floor space. I got a “C” in home economics (yes, I’m that old). And I take my sewing repairs to Miss Sally’s on 20th Street. But even I know you’d never jam that folded up fabric under the pressure foot or set that pincushion there. Still, I give the stager Three Buddha Busts for switching (or shall I say “stitching”?) it up.